Do you work for dotloop? Learning about dotloop? We can help. I love being able to have the app on my computer and phone. When I'm traveling and need signatures quick, it's very easy to use this program. I appreciate being able to have a client sign a document while we're at a showing and not having to wait until later. I am not a huge fan of the fact that you cannot autofill from a mobile device. Sometimes I have to go to the desktop version just to autofill information that I should be able to do on both devices. Make sure that you go through the demo process and take any training that is available to you to learn tricks that make life a little bit easier with the program. This program helps me to get signatures quickly and efficiently while also maintaining a security feature. This program verifies the signature so you know that everybody who is supposed to sign has signed. It's also very nice to be able to write an offer when I'm not at my desk and share it with other Realtors and clients. "Dotloop has made crunch time so much easier!" I love how quick and easy it is to send documents to clients for their review and signature, especially when timelines are short. Additionally, the Activity Log is wonderful since I am able to see when others have accessed the documents. That has saved me a great deal of time by not having to follow up with others unnecessarily. I dislike that I cannot store photos in Dotloop files. i.e. invoices sent as an image via text, signed documents sent as an image via text, communications such as text and email, etc. Lastly, I've had many clients complain or voice confusion about a pop-up that holds them hostage asking them if they want to create an account after signing. I am told it causes confusion on whether they have completed everything or not. (I would not want it to happen before signature because that would cause delay since a lot of clients do not want to create an account.) I'd like to see this be more end-user friendly and less confusing. Give it a try! I've talked with other Realtors who don't understand it and are intimated by it. I guarantee that once a little time is devoted to the learning curve, you are going to find it very useful to your business and customer satisfaction. 1) Speed: Dotloop has greatly reduced the time it takes to get signatures. 2) Proof of receipt: Dotloop has solved the constant follow up and unknown by allowing me to see when someone has accessed a document. 3) Filing System and Organization: Dotloops has allowed me to transition to a mostly paperless environment while keeping everything perfectly organized. 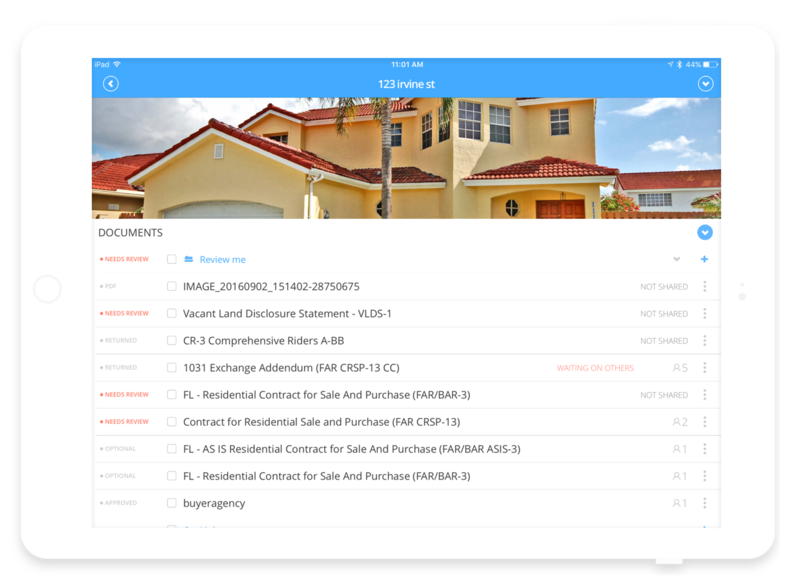 "Not Bad, But Cumbersome Compared to Similar Products"
The ability to manage a real estate transaction and store documents all in one place, including obtaining digital signatures from clients as needed on contracts and forms. It's also nice that you can add others by email address and assign them a role. As an organizational tool, it's not bad, it's the digital signing process that was the biggest turn off for me. The digital signing portion of this program is very cumbersome on both my end and the clients end compared to programs like DocuSign, which is the product the real estate team I work for has switched to for obtaining e-signatures. Also, the biggest problem I have is any document that has been digitally signed gives great difficulties when you try to print it. The first page will print just fine, but the remaining pages print incorrectly unless you send them one page at a time to the printer, which can be very time consuming with a large contract or document packet! This product works, but we've found there are better ones out there. I still use dotloop when agents on the other side of a real estate transaction want to use it for document management, especially if that's the only tool that agent seems comfortable with. But, I found there were other programs I can use that are easier to use for both me and my clients for both managing a real estate transaction and for e-signatures, so when it's my choice, I don't use dotloop much anymore. "One-size-fits-all Solution for Transaction Management"
What I like best about dotloop is the ability to easily organize and manage all transactions in one place. One thing that I dislike is that if a couple only has one e-mail address, you cannot send signature requests to two separate people using the same e-mail address. If you're looking for a transaction management program, don't hesitate, sign up. We are solving many business problems with dotloop. A few that we are solving is that we are able to organize and manage all transactions in one place, we are able to communicate amongst our team and with our clients, and we are able to get client's electronic signatures. "Overdeveloped, Missing Simple Key Features"
If it worked, you could keep your docs, signing and transactions in once place. Pretty interface and helpful tech for filling documents and allowing 3rd party users to fill documents. Non-intuitive. Things that should be simple and take ten minutes are very convoluted and take hours. The signing process is puzzling and Dotloop expects non-users to somehow know what to expect from its software. You can find a better solution in today's market place. 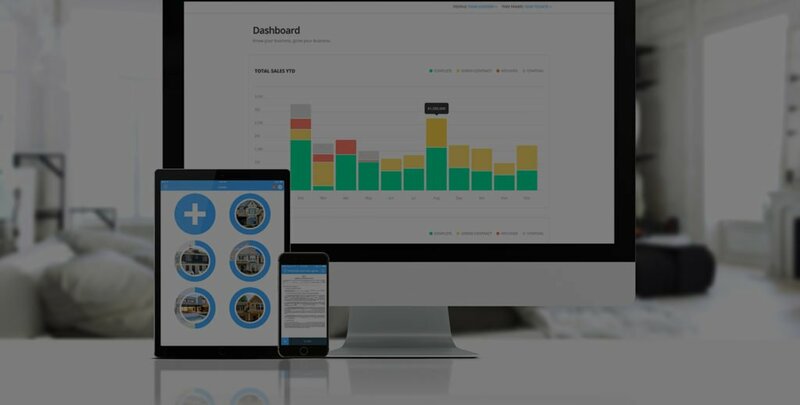 When you factor in the price and the need for additional software for CRM and Accounting functionality, the value of Dotloop is heavily diminished. Especially after going through several weeks of painfully trying to integrate the software into my brokerage. Transaction Management & Signing. Unfortunately, few benefits so far aside from having live docs that can be autofilled fairly easily. The signing process is abhorent. "An Amazing Transaction Management Service"
Dotloop is an incredibly effective way to manage a real estate transaction from start to finish. From the beginning of a transaction, we are able to upload all necessary documents, pre-filled in, and setup signatures incredibly easily and efficiently. After the initial documents are complete, dotloop makes it easy to add or change documents and collect any signatures moving forward. It also is the perfect place to store all documentation for every transaction that our company executes. On top of everything listed above, we are also able to submit the transactions for final review/audit, and get them closed out and paid out in an efficient manner. There is honestly nothing that I dislike about dotloop. Dotloop allows us to fully manage a real estate transaction from start to finish all in one place. From drafting documents, to collecting signatures, to auditing a final file, everything can be done in one place. "Top njotch software for real estate agents"
I really like the concept of loops within the software. It makes it easy to organize and manage multiple real estate transactions at the same time. Additinally, the ability to fill and sign within the software really helps us to save time and money. The only thing I dislike is sometimes the fields the signer has to complete aren't very easily visible. For example, the date field always gets skipped over by my clients. The software doesn't highlight these fields, so if they neglect to fill them out, I have to search through the document to find them and notify the client. This can become tedious both for myself and my clients. This software is a definite must for real estate agents and their assistants. It makes life so much easier, and enables us to have access to digital copies of all our important paperwork from anywhere with internet access. Prior to using digital signature software, we had to get every signature by hand or ship off documents and pay for overnight deliveries. Now we can get signatures from our clients around the globe. The biggest benefit is the time savings that Dotloop afford us. Time is money! I absolutely love using dotloop! It keeps all your files organized by the address of the listing its for so you never mix up your forms. I find it very easy to add new forms and share with clients. I've never had an issue on my end but I have had clients have issues Where they weren't allowed to fill in random lines or had issues signing in. However that could have been user error and not so much a dotloop issue. Overall I love it and am so happy my office has it! A few of my clients had issues logging so I'm not sure if it might be a little Confusing on their end. They also would occasionally have random areas of forms that dotloop would not allow them to fill out. No more mixing up files and forms! Because dot loop organizes by address, we can make sure everything is where it should be. Plus the option to make pre-made templates with all the forms for certain transaction types makes life a breeze. "Easy to use and learn. " Having predefined templates allows you to easily create a new loop with the document you will need for a particular type of transaction. It is also flexible in that it allows you to upload PDFs and drag them on top of its respective dotLoop document (and replace the existing doc) if you're working with a mix of external and dotLoop documents. The main problem that I've run into is that it requires all clients to have their own email addresses in order to allow them to e-sign documents. I have older clients who share an email which does not work for dotLoop. The other issue I've run into is with other agents not wanting to use any other system than what they normally use and are comfortable with. I recently had a listing agent ask that I not use dotLoop and that I recreate all my documents in CTMe which we are trying to move away from. Just be aware of the limitations going in...particularly that everyone who uses the system needs to have their own unique email address. It's not a problem for most people, but a lot of older people share a single email address. There are work arounds for this situation, but some of them involve going all the way backwards to physically signing, scanning and uploading the executed documents which is exactly what we're all trying to get away from. Streamlining the transaction filing requirements of our state real estate commission with an integrated e-signature contracts system. In the past, this has been a multiple step process that we have to hound our agents to comply with. The promise of dotLoop is that once the contracts are created and e-signed, the file is complete and can be submitted for review and approval and they're done. I like that dotloop has all of my forms ready to go where I can just fill in the blanks. Everything else. I hate how you cant actually delete a transaction once you're done with it. I hate that dotloop sells client information. I hate how you have to create an account to even access a dotloop document. I hate how when you try to forward a document saved from dotloop on a phone, instead of sending as a pdf, it sends a link, which the client can then not open. Don't use it. Stick with a different program. None. Dotloop has actually complicated things more. I will stick with my TN Realtors transaction desk and Skyslope instead. "Don't sign up before checking with state and local associations"
I would not recommend this product. They sold me a useless product. Don't expect them to do the right thing. Was not told in advance that they didn't have connections with our state and local forms which will now cost additional money. When I asked to get out of my contract because of the additional fees and all the time it was going to take, they refused. That tells me that all they care about is the money. That's just not how we do business! Check with state and local associations to see if it is even compatible first because they won't tell you that upfront. Ease of use, instant turnaround times (whenever possible), and excellent customer service. Changing users while in a loop is cumbersome. As a team user, I may be in a loop for a buyer's agent and want to view the loop from my own profile. When I switch to my profile, I'm kicked out of that loop and have to search for it again. Dotloop has a ton of training available as well as excellent telephone customer service with reasonable business hours. It's a huge time saver. I recommend the team feature because when you are ad admin for several agents, you need to be able to bounce around quickly rather than using multiple browsers or other workarounds. "Great system for keeping files organized!" Very easy to use. Allows us to fully house all our client files, making sure we don't lose anything. Would like to be able to have 2 signers on 1 email address. It's a great system to house all your files so that you have them in the future and don't have to have paper files. Also, you are able to see signature trails etc. Using less paper, making sure files are complete. Great way to have all historical documentation saved (and not lost). "It's a fast easy way to get electronic signatures." You can keep all documents together and keep everyone in the loop up to date of what is needed and what is done. Fast easy way to get electronic signatures. I wish you can save the content that is in your emails in the loop like a similar product called Appfiles. Maybe also be able to create a checklist for each folder and be able to check off what is completed and be able to see what is still needed. Also I notice that the loops will have different colors, not sure what they mean?!?! But if the loop can have a different color to show an active loop, closed looped, dead file, that would be great! We can choose what color represents what. Keep all the documents together in one storage place. Being able to get electronic signatures and sending messages through the loop with the admin. "Quick and easy to get docs signed"
I like that you are able to send you documents off to your clients and be able to get signatures on the documents in a very QUICK time. You are able to track many LOOPS all at one time and the design of the front page makes it very easy to track your loops, status of the current loop and also easy to find which loops need attention or have updates to them. When a loop needs attention or the status changes you get notified and are able to see what was changed or needs to be addressed. Its a great tool to use. When adding the signatures I wish there was a way that you could select the client and then be able to add multiple signatures of the person. The hard part is assigning the person each time and then having to go back and add the next person. I also wish they would allow us to send the emails out in order so you could send it to your clients then once it comes back from both of those it would send out to the next person, and you could send them in an order instead of having to go back in to then share the doc with the other real estate agent. Its a great system to use if you need signatures or initials. loops have disappeared before or have had issues with finding our loops. It takes a while to figure out how to navigate it. To the time ti figure out how to navigate using the training. If you company offer training take advantage of it and it will make the process very simple. I like how its easy to use. You can just fill in the blanks keep it moving and add everyone who needs to be added in order to use the system. Very user friendly and simple for my clients to understand. Layout is simple and clean which keeps distractions to a minimum. With the premium feature that I use their are no ads or third party input which I appreciate. I also like that so many of us can work on the same document at the same time. I, as the realtor, have access, I can send it so my clients, I can have the title company receive their copy, our lawyer can review the document and I can also send it to those who aren't my clients. An app that shows my "to-do" list from DotLoop would be amazing! I'd like to be able to customize the document a bit more before it generates. That would save me the time that it takes to go back in and really detail the document. I work for Keller WIlliams and I do wish that they would sync our systems a bit more. I have to create a new database inside of the Loop but I also have those clients and their information saved elsewhere. I wish it was all in one place. It helps to streamline my transactions so I always am on top of what needs to be completed next. It also creates a medium that is so simple for my clients to understand and they can get their documents signed and returned to me no matter where they are. I've had nothing but good feedback! "Good system but missing some key ingredients"
The templating system and repeatability are great. If used correctly everyone in an office will be doing the same thing every time. People arent treated as people by the system. If you do a second transaction with the same person all of their data has to be re-entered. Make sure the initial setup is done correctly. This company has gone completely paperless. It makes tracking a lot easier. I enjoy using dotloop because my clients find it easy to use! They can receive and sign documents on their phone, computer, or any other device. I also like the fact that we can assign tasks to ourselves and clients. It goes a long way towards helping us stay on top of what needs to be done. Our real estate association has not adopted Dotloop as the standard. For every document currently, I have to upload it into templates and edit it. It would be nice if BNAR integrated with Dotloop so the forms that we use in Western New York were already in its system. Try out the free version and use it for at least 5 deals. It is easy to learn and by the 5th deal you will want to upgrade. We're always focused on creating a smooth sales process for buyers and sellers. We benefit from a faster closing time and clear follow-up with team members and clients. "Good product for sharing in larger groups, but not great user interface." Dotloop is helpful if several people need to review a document and require commentary. Footnotes section is very helpful to allow for commentary throughout document without marking up actual item. User interface is a little bit cluttered and not as user friendly and clear as it could be. Emails sent when a Dotloop file is shared is confusing at first and takes time to understand for immediate recipient. Offer training to employees on how to best maximize use of Dotloop to preserve efficiency of operations and better comprehension of features. Dotloop is great for allowing communication between employees and employers, or some form of peer to peer editing. Enables managers to communicate with employees in effective way without having the hassle of phone calls/text messages and lengthy email threads. Makes contract signing very simple and it’s user friendly for my clients! I am not sure if it is a setting by my broker, but I can’t delete loops that I don’t want anymore. Also, the app version is VERY slow. E-signing is 20x easier and more convenient for all parties involved! Also like that you can see history on each document and whether they have been viewed by the other party. I love that I am able to digitally have my customers sign the contracts from the comfort of their home. I no longer have to go through the process of going to their houses with the written contracts and then faxing them. I dislike nothing! Everything about it is great and easy to use! It is a lot faster, more convenient, saving a lot of time with having to go to the office and customers houses. "A Useful Tool for Real Estate Transaction Management"
Dotloop simplifies the process of closing a real estate transaction. The application requires an email address from all parties to facilitate e-signing of documents. Clients sometimes are intimidated by the process. Attend a few training Webinars and practice with a test account. Dotloop consolidates the myriad forms required in a real estate transaction and lets you manage the entire process within the app. "I use Dotloop for my real estate transactions"
I really enjoy the ease of sharing with clients and colleagues. I love the iPhone app. I dislike not being able to select all of the initials or signatures in a multi page document to assign them to a particular user. I dislike being unable to archive loops. Only my market center (kw) can archive loops. I find this product very easy to use once you get the the hang of it. I enjoy the mobile app and the notifications I receive from the app. I have some complaints from clients who can't figure out where to sign and who sign the wrong place, or who think they've signed buy really haven't. I'm able to send and receive documents with the people who need to see them. Everything! I love how we can insert entire listing or buyer templates. I like how we can share just one specific document. 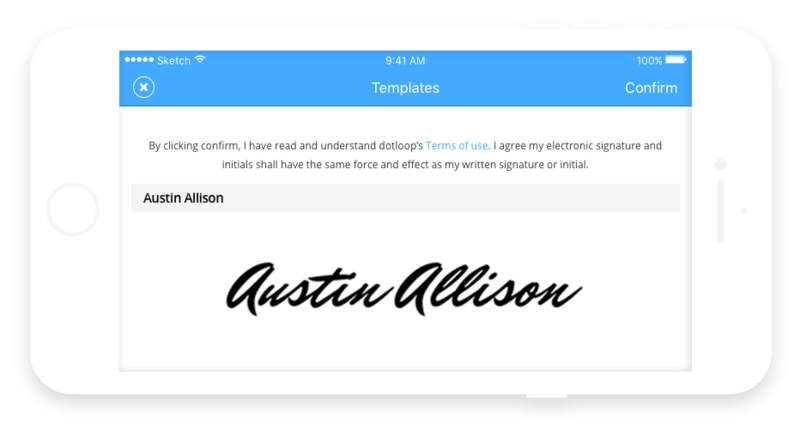 More than anything it is so convenient to have electronic signatures. It saves a lot of time! This program has been such a huge time saver and has a lot of features that are great. One thing that could be time saving is just being able to drag a document to another folder in the same loop instead of having to copy it and find the loop, etc. Saving time! No more scurrying to get signatures. it very convenient to have all your documents in one place that will be there for a long period of time. Shannon, thanks for using dotloop and for providing feedback! We hear you on the ability to move documents more easily. "Awesome features, poor execution. " I enjoy having a paperless document management platform. It is great they have your own feature to scan in a document using a mobile device. Setting up templates is a nice feature, and being able to track sales and the amount of contracts you're writing is very handy. Awesome to be able to submit files to brokers, and receive approval. Almost everything, I find the website sometimes lagging in speed, I like all the features, but the execution seems poor. Mobile integration seems like almost an after thought, there are many features that are available on desktop, but not in mobile. Mobile signing support was a nightmare when I tried to facilitate a contract signing on my mobile device, I was terribly embarrassed. Site design is just simply not user friendly and isn't intuitive. Docusign is about a hundred times easier to use, if what they offer can satisfy your needs, I would go that direction, I enjoyed using that much more at my previous brokerage. Communicating records to a broker, and the ability to access documents at my fingertips are the benefits of the product. "A true lifesaver for anyone who needs/does Transaction Management"
- Ability to loop anyone into a loop and un-loop them if something falls through! - I wish there was a way that they could remove some one from your 'Team' in the case of an unfortunate 'emergency' situation. This program is a fantastic way to keep everything in one location - I can be on vacation and still be able to handle business easily and effectively. I like that there is an easy to use app for things that I am away from my computer. I mainly dislike that this is a Zillow product. I would recommend that they look long and hard at other platforms for esignatures. I am considering making the change to DocuSign. I am uncomfortable with the fact that the real estate industry continues to give so much information to Zillow, considering that this company will likely be the biggest benefactor in making the real estate profession obselete. It's so easy and convenient especially when dealing with out of town clients. I love the fact that you can send a contract, call the clients and have it back in your folder before you finish the conversation. It's very easy to upload templates, scanned documents or even emailed documents. I wish there was an easier way to add initial and signature boxes to the documents. Our contracts have several boxes that require initials and signature and it takes some time to assign each section. It would be nice if we could select a name and then go through document and click on each space and it autofill the initial or signature box. Makes it easier to deal with relocated clients. "Dotloop can be great for template docs but difficult if attempting to add in additional info"
I like that allows for multiple template docs to be sent and filled in simultaneously. It allows the user to send a package to current or prospective clients with relative ease. It is difficult to add in supplemental information or to make significant changes to a template. Benefit by utilizing the e-sign software and the ability to forward a good amount of documents at once, as opposed to single document at a time. I love that all my transactions are at my fingertips, whether I'm at home or on the road. I can use any computer, tablet or phone to access everything I need. I also love that each folder has it's own photo to easily find what you are looking for. I occasionally have had trouble editing on phone. Will revolutionize the way you do business! It keeps everyone in the loop, and I am able to see when someone else views something I have sent. This allows me to properly followup and not allow another person to claim they didn't receive. "Easy to use, but lacks more advanced features"
Of all real estate software, dotloop's user interface is certainly more modern, appealing, and intuitive than most. The visual representation of deals is consistent with mobile-first development, rather than old fashioned CRM systems that look like they were built in 1995. It's easy to add and manage new contacts (lenders, title company, parties like buyers or sellers) and to send documents back and forth. The setup for electornic signature is pretty good too, though not as easy as Hellosign and others. dotloop could definitely use more features and more icons or visuals to help you know exactly where a transaction is in the lifecycle. The checklist features and more advanced offerings could be good but aren't accessible to free users. Be mindful of their ownership by ZIllow. This may significantly change their features, the security and privacy of your data, and the goals of the software platform. Managing transaction parties and documents in one place, electronic signature and delivery of documents, online document storage and backup, etc. User friendly, from a real estate agent's perspective, ability to customize templates for our company, easily accessible from app & web versions, ability to collaborate with other agents in a transaction. E-sign process is very simple & straight forward for clients. Program notifies other agents when I create purchase docs for their listing. Email & addresses don't populate back into the "people" section unless fully entered the first time. Huge time saver to create documents, obtain client signatures, share documents with other agents, lenders, brokers, escrow company, etc. Benefits clients by saving their time as well. "Streamlined Processing with Paperless Filing"
As my title would suggest, I love how it streamlines the process throughout our entire transaction. Being able to utilize such user friendly software really makes each contact a breeze. I love how easy it is to download, share, and sign documents. Since being accustomed to such software, I can't imagine going back to the day of paper. I have stumbled upon issues of misplacing loops. I am unable to search under my agent profile for the loop, yet no settings have been changed as far as the status of the loop goes. Even with all categories checked, they vanish. Our administrative team will have to intervene at that point with their team loop. We found that it's becoming so popular, that it's effortless to share documents or obtain signatures from co-op agents. Having the activity log helps to when recalling what's been done already. Thanks for your review and for using dotloop! We'd be happy to investigate your missing loop issues. Shoot us an email at support@dotloop.com and we'll take a look. Fast signing, easy to use and download, clients don't have to print and scan documents that always took a while. And it's paper saving! Go green with dotloop! Not always can put access properly and can't combine two agents included in the same doc with common rights. Not always having a client email in case if we represent only one part. So their agents create their own loops and it becomes a loop mess. Only safety recommendation with email access. I totally use dotloop in my real estate transactions. My clients sign fast, it's easy to share, everyone envolved and can bee in loop of what's going on. I've used dotloop for years at multiple brokerages. Once i left Century 21 Everest all my loops were kept by Century 21. I buy my own properties so I would sign in my own loops. Century acts as if they own the loops yet I am the buyer so I see several lawsuits over privacy. They have several problems to solve. There's much better plat forms. compatibility with other applications such as docusign which puts forced form fields in. 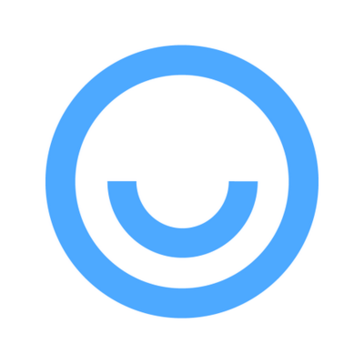 we used Dotloop for email signatures and not transaction management. I've not liked Dotloops incompatibility with other platforms such as Docusign which when opened in said platform automatically forces form fields in that have to be assigned which makes those documents less secure since people can then reedit that document and previous fields which makes me lean towards using docusign for signatures. This platform can be used as a transaction management tool however we don't use it for that purpose and have used it just for electronic signatures. "I use this software to electronically sign documents "
The convenience of such software is what I like most about dot loop. How nice is it to be able to send a contract to your client, have them sign it electronically, and then shoot it over to the other agent. You can have a pending contract in under 20 minutes. In this crazy market, that is exactly what agents need. There is not anything that I dislike about dot loop. Use the training! It is a very valuable experience if you are just starting out in real estate and have never used an electronic signing software. It is a huge time saver for both clients and agents. If you have a buyer or seller who is out of town, you can shoot them a document via email and have it signed and returned within minutes. "Love the platform, support could be better"
The system takes a bit to understand but works for transaction compliance. I love the tools that are offered with Dotloop. The lack of customer service is very surprising. Every time I've had to call about an question, the willingness to resolve my issues is nonexistent and met with irritation on the agents end, every time. I recommend training the phone support and management on empathy training. It works very well, the only recommendation is getting a good support agent to help. I'm able to handle compliance very easily. It's nice that everything is digital. No need to print out papers to sign, everything can be done digitally. You can share the documents with people who need access to them. It's user friendly and a great tool! I honestly can't think of anything I dislike. It's working great for us! We use dot loop to upload real estate contracts and documents. It's a great way to visually see everything that you have, and also what documents you still need in order to close on a property. "Dotloop makes your work easy." It is a great program for realtors. Easy to upload files and share. I highly recommend to all realtors who would like to save their time and effort. After I use Dotloop, I don't need to meet the client for signatures or picking up documents. Everything is online and very organized. I can share the file with clients and administrators. Also my clients can sign e-signature. This can save my time and work.